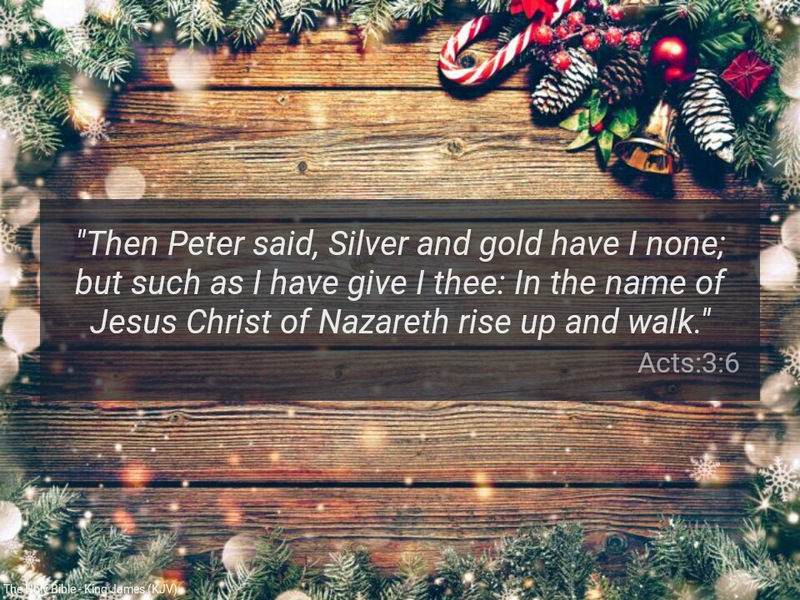 “Then Peter said, Silver and gold have I none; but such as I have give I thee: In the name of Jesus Christ of Nazareth rise up and walk” (Acts 3:6). The word of God says the expectation of the righteousness shall not be cut off (Proverbs 23:18). What are your expectations in Christ Jesus? The blind man at the temple gate called Beautiful, was expecting ordinary alm from Peter and John but got pleasant surprise. His joy was so full ; he began to walk, leap and praising God. In Christ Jesus, perhaps you are looking unto God for money, car, house, wife or husband or university qualifications. As you look unto Jesus this season( Hebrews 12:2), the Almighty Himself is lifting you up in strength, knowledge, wisdom, understanding and showering you with spiritual gifts that you can never dream of. Please, look unto Jesus. Lift Him high in praise. Glorify His holy name. “And I, if I be lifted up from the earth, will draw all men unto me” (John 12:32). To grow spiritually requires daily meditation with the word of God (Joshua 1:8) and seeking first the kingdom of God and its righteousness (Matthew 6:33). It also requires total fear of God, and spiritual training in the word of God: “Train yourself to be godly”(1Tim 4:7-8 NIV). Father, please give us the grace to take our mind away from mundane things and focus on your beloved Son, in Jesus mighty name. Amen. All scriptures are from KJV, unless otherwise specified. MOW is in divine partnership with RCCG, MFM, Living Faith (Winners Chapel) & every Word based church globally. Previous Previous post: Word for Today:Wetin you carry? Next Next post: Word for Today: Sin is the problem.